Yes, folks, Santa is coming in 25 days. Can you believe it? December already… where has the time gone? As promised, since tomorrow will be the beginning of Christmas movies on repeat everywhere you look, I will be doing my post today on my 21 favorite holiday films. My family celebrates Christmas all year round – my dad will blast “It’s a Holly Jolly Christmas” in July. Most people think he’s crazy, but I wouldn’t want it any other way. Christmas means something to everyone, of course, but for me it means a little more. My grandfather (dad’s dad) passed away on Christmas Eve a few years back. My grandma and my dad both told my family not to be upset, but to celebrate his life on Christmas because it was his favorite holiday. While we miss having him around every year, we always celebrate with him in mind. From movies, to family, to laughs and good times: Here’s what you can find me watching this holiday season. 1. It’s a Wonderful Life. If you were to sit down with my family and I when this movie is on, you wouldn’t even be listening to the film. You’d be hearing us quote it because we’ve seen it so much. But it never gets old. This is, hands down, the best Christmas movie out there. 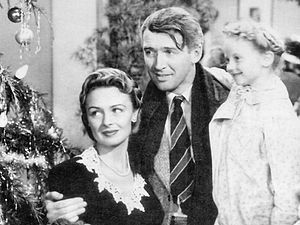 If you’re looking for a good story, one that’s heart-wrenching and full of Christmas spirit, then watch It’s a Wonderful Life. You will not be disappointed. 2. A Miracle on 34th Street. This needs to be said first: If you’ve seen the one with the little girl from Matilda, you need to watch the old version – it’s amazing. The clip I showed above is from my favorite part in the movie. Kris Kringle’s ability to talk to a Dutch girl makes a believer out of a little girl who hasn’t believed her whole life. The whole story is so touching and if you didn’t believe before – you will after this film. Seriously, if you haven’t seen this movie, you may be a South Pole Elf. (Actually, it’s okay, I’ve never seen Forrest Gump….) And you probably don’t get half the jokes people make this time of year. “I like to whisper too.” “Buddy the Elf, what’s your favorite color?” “Francisco! That’s fun to say.” This is an all-around feel-good Christmas movie. It’ll be on ABC family probably 30 times before Christmas, so try to catch it at least once. 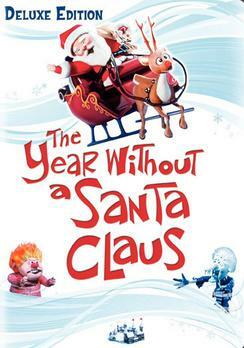 This is obviously more of a comedic holiday movie, but it has a good message if you really think about it. Stop being a jerky Scrooge and have some Christmas spirit! Adam Sandler will make you laugh (as he voices almost all of the characters — I think!) and you’ll be left with the lyrics to “Bum Biddy” in your head for the rest of the night. 5. National Lampoons Christmas Vacation. If you’re looking for any last minute Christmas gifts this season, don’t listen to Chevy Chase, okay? But you can listen to this clip because it’s hilarious. 6. Rudolph the Red-Nosed Reindeer & the Island of Misfit Toys. Sisters. Sisters. Never were there such devoted sisters! My dad LOVES this movie. I never understood it until I watched the entire thing. Bing Crosby, or father Christmas as I like to call him, plays an amazing role. It’s not very popular, but I would try and find it on demand or something because it’s worth watching. If not – try to find “Bing Crosby sisters” on YouTube. It’s great. Ah, the Snow Miser and Heat Miser. 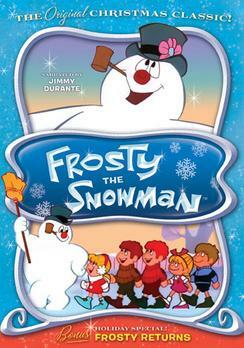 This, like Rudolph and Frosty and all those great animated classics, is a must-watch this Christmas! This one is a tear-jerker! I haven’t seen it in a while, actually, even though I own it on VHS. Well, that doesn’t really mean much anymore. 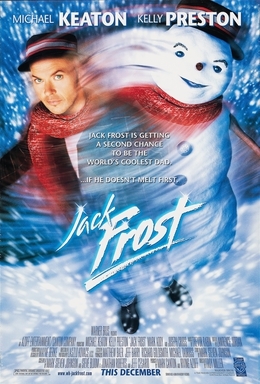 Anyway, if you see Jack Frost on this holiday season and are in the need for a good cry… I suggest keeping it on. I put these two together because they’re based around the same idea. I just really like Bill Murray. 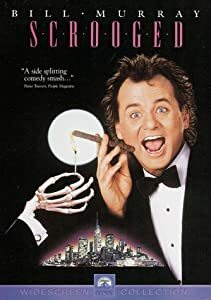 Nothing can beat “A Christmas Carol” because it’s genius, but Scrooged puts a comedic twist on the old classic. No one. Absolutely no one can say they didn’t want their dad to be Santa Clause. 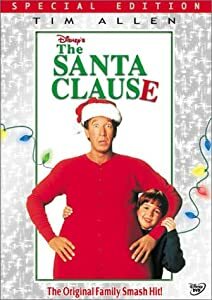 Indulge in childhood hopes and dreams with Tim Allen in this film! Unfortunately, the two that follow this one are not as good in comparison, but this one is worth watching! I don’t care if you’re 40! You watch this movie. Now. And sing along. That’s a requirement. I admit – I’ve only seen this movie once. And only because my boss let me borrow it. But I watched it on Christmas morning right after opening presents and I loved it. I’ll have to ask him to borrow it again! Isn’t there anyone who can tell me what Christmas is all about? As I say this phrase to my dad, he begins to recite the video above. He’s seen it a few times. Have you? 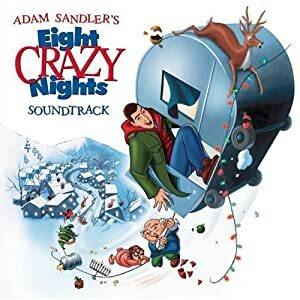 I haven’t seen this particular Grinch, I prefer the good ‘ole animated one, but this brilliant Dr. Seuss book-made-movie is always a good one to watch. In fact, it was on the other night! I’ve only seen this a couple times, but my dad has it saved on our DVR. The acting is pretty bad, but the story is great. The “Christmas Shoes” song kills me every time. The movie… even worse. So sad. But one you have to see if you haven’t. From the days when Arnold Schwarzenegger was still an actor, this was my movie of choice as a kid. Turbo man!! Okay, I only picked this one because I love Reese Witherspoon and Vince Vaughn. I mean, the movie’s good, but..
Look at that face. A face only robbers could love. Ha, I’m so not funny. Truth: I’m not a huge fan of this movie, but how can I not include it?! I mean, it’s funny… the first time it’s on. Let’s be honest for a second: How many people can say they truly enjoy watching this movie on repeat Christmas Day?? It gets old. But it’s a Christmas classic and it’s gotta be on the list. I know, it’s a long, long post today, but it’s worth it! Go out and get these movies on Netflix or DVD somehow, cuddle up with some hot chocolate, and enjoy. Share your favorite Christmas movies with me in the comments! Happy early holidays everyone! The Christmas shoes is one of my all time favorite Christmas movies. I cry every time I watch it. I am kind of disappointed it only ranked 17, i’d say it’s at least in the top 10! Thanks for sharing, I now have lots of ideas for movies to watch over the next few weeks that I had completely forgotten about (A Miracle on 34th Street used to be my all time favorite, how on earth did I forget about it?) Perhaps they will serve as a distraction from my list of things to do that is piling up as finals approach. I’m such a procrastinator! I will say that the only ones that are really ranked in order of my favorites are 1 & 2. The others could be mixed around 🙂 But I hope you find enjoyment out of some of them! I certainly will! Thanks for sharing. Everyone says It’s a wonderful Life ,or A Christmas Story is the greatest christmas movie ever. I personally like Elf a lot. 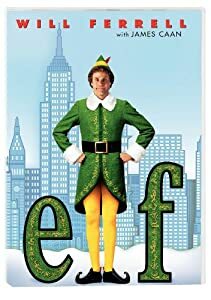 Would Elf be in your top 5 christmas movies. It was on last night and my roommate heard me quoting every single line. She was like “Are you serious right now?” And obviously I was because how can you not love Elf? So yeah, I’d say it’s in my top 5, but It’s a Wonderful Life is my number 1. All these movies you selected are classics and the make me think back to when i was a little kid. I would have to go to with christmas Vacation as my favorite because it is one of the funniest movies i have seen. I completely respect that choice. Probably one of the funniest movies on the list. Enjoy the clip! I have seen quite a few of these. You should check out The Christmas Box starring Richard Thomas. It is more along the lines of Christmas Shoes and its a Wonderful Life thematically. I really liked Elf (it is one of the few Will Ferrel movies that I consider clean enough to watch). Charlie Brown is an absolute classic. Have you seen Its Christmas Time again Charlie Brown? It is based on several of the comics they released. There are a lot more Christmas movies out there than I thought! I’ll have to check the two you mentioned out because I haven’t seen them. Also, I agree with you on Will Ferrell. That’s probably one of the only funny movies he’s made. But I am partial to Anchorman.